On August 16, 2005, with the help of my son JR Mariottini, I began blogging for the first time. My first post was a simple message, a message in which I announced that I was beginning to post articles dealing primarily with the Old Testament and archaeological issues related to the Old Testament. On August 16, 2017, I will celebrate the 12th anniversary of my blog. From a humble beginning, where, for several months, fewer than 100 people visited my blog daily, my blog has expanded in circulation and readership. Today there are more than 3200 subscribers to my blog. Every year, almost one million people visit my blog to learn more about the Old Testament. The last time I checked, my blog was read in 142 different countries of the world. 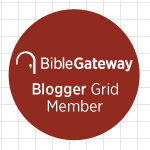 What has contributed to the growth of my blog is the fact that many people all over the world have a genuine desire to learn more about the Old Testament. Many people today believe that the Old Testament is not useful to Christians in the 21st century. But the fact is that the Christian Bible begins with Genesis and not with Matthew. The Old Testament is an integral part of the Christian Scriptures and faithful readers of the Bible want to know more about it. Let us face it: some sections of the Old Testament are difficult to understand and some texts may be understood in more than one way. This is the reason, I believe, that many people read my blog. I try to present an understanding of the text that is based on the social, religious, and cultural contexts in which the text of the Old Testament was produced. I put dogma aside and seek to present what the biblical authors were trying to communicate to their audience. It is after this process of interpretation that I make a bridge to the proper understanding of how an Old Testament passage in used in the New Testament. 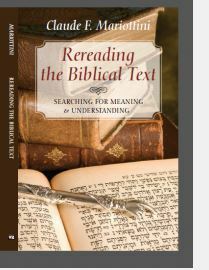 In order to celebrate the twelfth anniversary of my blog, I will give away twelve copies of my book, Rereading the Biblical Text: Searching for Meaning and Understanding, during the months of August and September 2017. One free copy of my book will be given on each Monday in August and September. The dates for the giveaway in August are: August 7, 14, 21, 28. The dates for the giveaway in September are 4, 11, 18, 25. Then, on the 12th anniversary of my blog, August 16, I will select four persons who will receive a copy of my book. To enter the free book giveaway, send your name and email to blogs12thanniversary@gmail.com. In the subject line of the email put “12th Anniversary”. Each Monday in August and September a name will be selected to receive the free book. On August 16, four names will be selected to receive the free book. So, the earlier you enter the giveaway, the better your chances to win a free copy of my book. On January 2018, my new book In the Council of the Lord: Men and Women Who Made a Difference in Israel will be published. After the publication of the book, I will select the names of three people who entered the giveaway for the 12th anniversary to receive a free copy of my new book. In January 2018 all entries received in August and September will qualify to receive a copy of my new book. All entries must be submitted by 11:59 p.m., September 23, 2017. Late entries will not qualify for the giveaway. Any entry received by September 23 will qualify for the January 2018 giveaway. Winners must allow their names and their states or nations to be published in the blog. Names and emails will not be used for solicitations, junk email, or any promotional purposes. Names and email will be used only for the selection of winners. As I prepare to celebrate the 12th anniversary of my blog, I would like to thank every reader who subscribes to my blog or visit the blog on a regular basis. It is your comments, emails, and personal words of encouragement that motivate me to continue to blog on a regular basis. I just hope that, if you are one of the winners, you enjoy reading my book as much as you enjoy reading the posts in my blog. This entry was posted in Blogging, Free Book and tagged Blog, Blogging, Free Book. Bookmark the permalink. Wow congrats on 12 years! Thank you for your nice words. I have enjoyed these 12 years of blogging. Absolutely , I like your sermon on the altars of Abraham, I preached in our Church last Sunday on 16 th July 17. The message was about the Call of Abraham, and him building his altars! Unfortunately , I found your message after I had preached, If I had found it before, I could have done better. Thank you for what you said, that the Christian bible begins with the Genesis, not Matthew, because one of the brother, after I had preached, said, not to worry , it Is Old Testament ! Because , I had asked, whether Abraham built more alters after the fourth one!! Thank you so very much for your nice words. My posts are designed to help pastors and students in their study of the Old Testament. I hope you will enter the book giveaway so that you can read more studies on the Old Testament. Frankey Grayton, I would love a copy of your book. I would love to see you winning a copy of my book. Please, read the details about the book giveaway here. You are welcome. 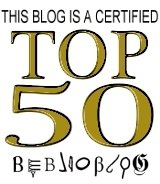 Thank you for visiting my blog regularly. I would very much like to receive a copy of your book, Rereading the Biblical Text. Thank you. To enter the free book giveaway, send your name and email to blogs12thanniversary@gmail.com. In the subject line of the email put “12th Anniversary.” Read the full details of the giveaway here.